Welcome to my return flight of EVA Air's BR858 flight! When I flew with this airline, the airline was operating only 3 Hello Kitty Jets, now it is operating 7 and that will be the final number. The CEO has mentioned that he doesn't want the public to think they are flying on Hello Kitty airlines! 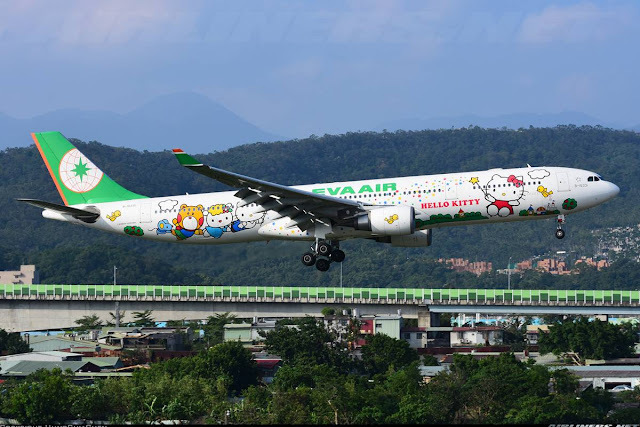 Sanrio and EVA Air collaborate to promote the branding of 'Hello Kitty' on the Taiwanese airline aeroplanes. It all started in 2005 and lasted to 2008 for the first generation. 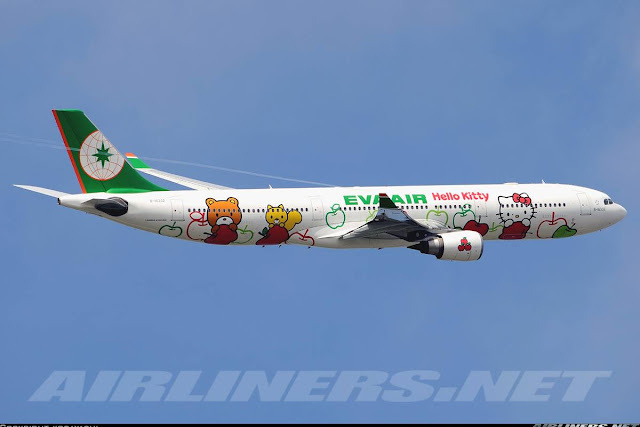 Fortunately for the Hello Kitty fans, the Hello Kitty jets came back in newer livery from 2011 till today. Here are some photos of the Hello Kitty Jets. 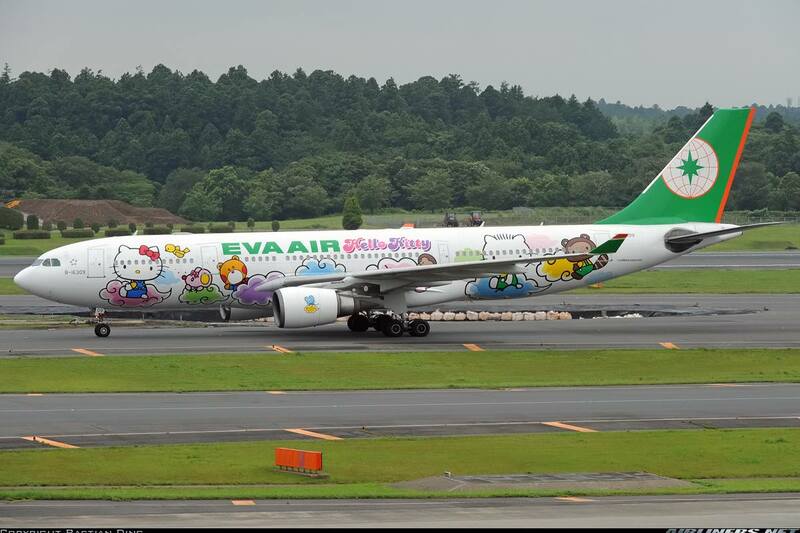 Previous Generation Hello Kitty Jets: 2 Airbus A330-200 (B-16303 and B-16309) were painted. 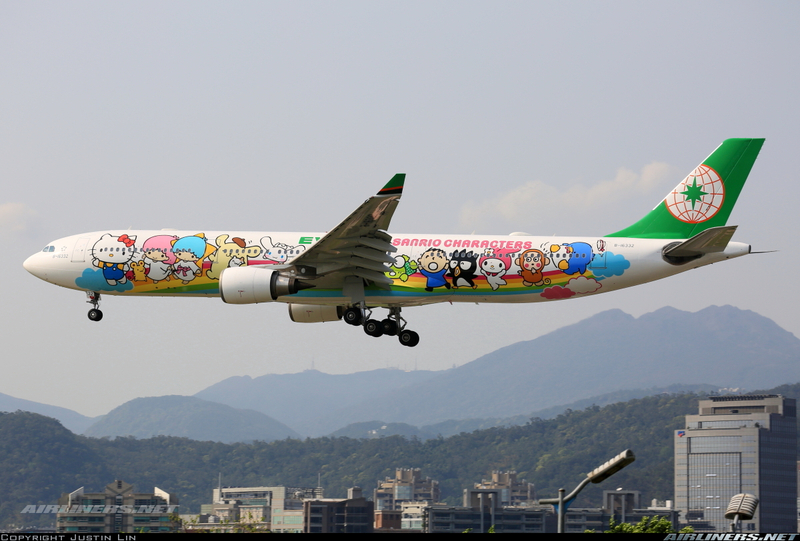 This is B-16303 which used to be in the old Hello Kitty livery. 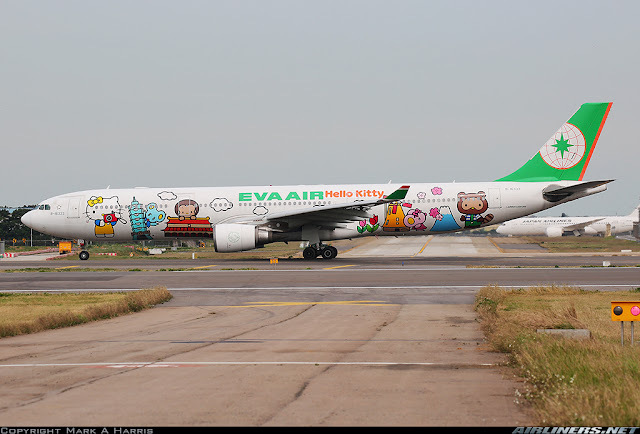 This aircraft has since left the fleet and is now flying for Eurowings. My 6th ride on this aircraft type and the 3rd airline to have flown on. 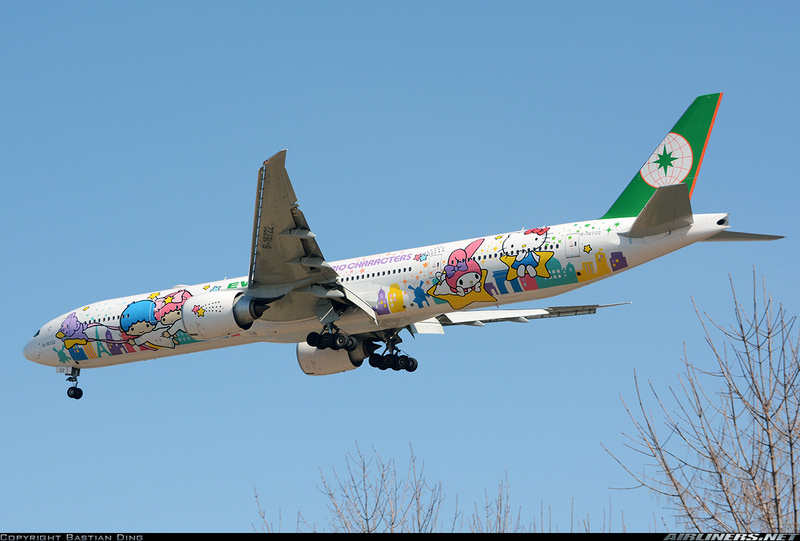 Initially I was supposed to fly out on the 12th March, I decided to stay for one more day. 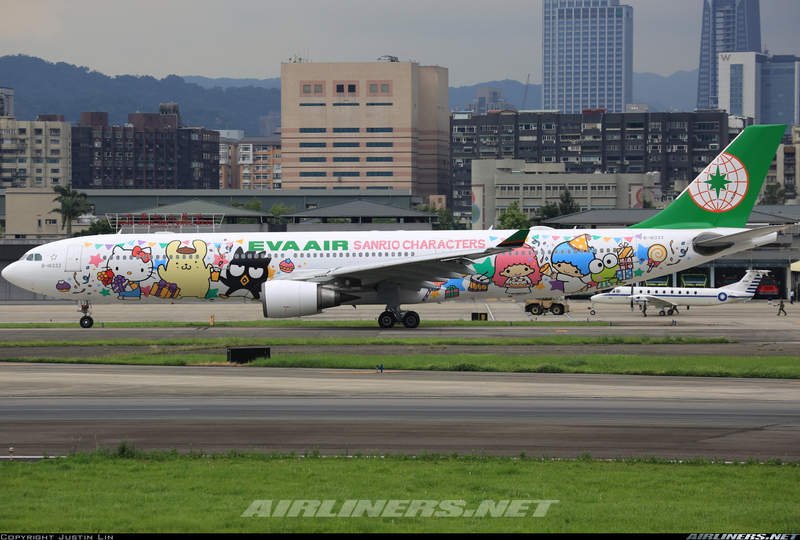 If I left on that day, I would have flown on the same aircraft (B-16332). Not only I had a day extra, I got to fly on a different aircraft back. It was a great decision! No charges for the change of flight, that's one of the good things I like flying with this carrier. When I flew with this airline, it was not in the star alliance. 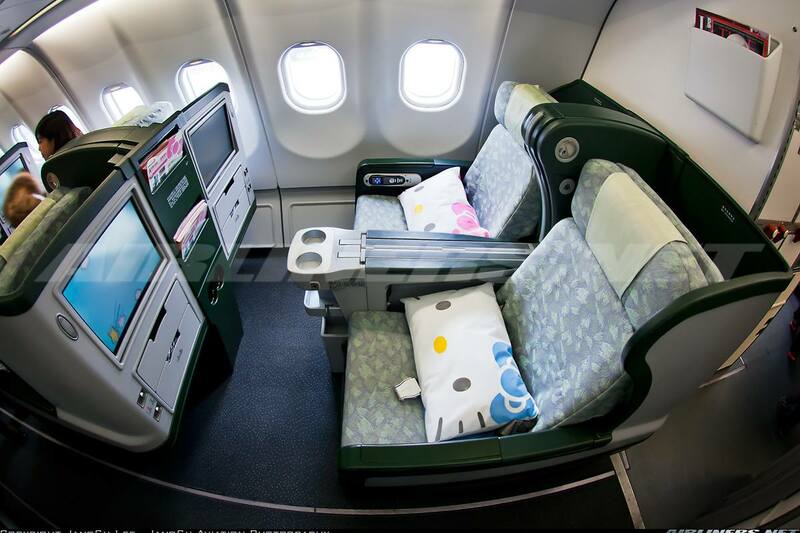 Nothing much to show about the hello kitty flight, just the display screen and that's about it. Hello Kitty is quite popular in Hong Kong, that's why this city was picked ahead of others. It was pretty quiet at that time. The flight back to Hong Kong departed at a not so ideal timing for HK travellers, but it benefited the locals as they can do a day of shopping before heading home. 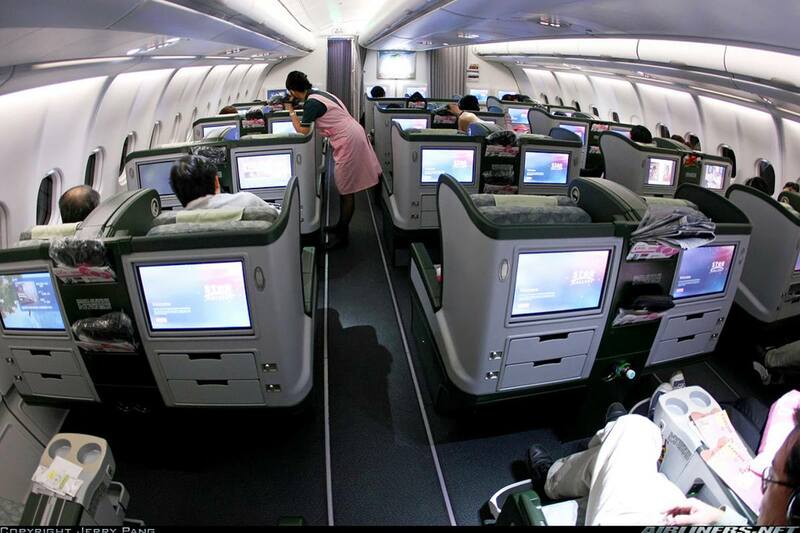 Boarding was on time, and soon I made my way to my seat. Once again, the flight was not full and I had a vacant seat beside mine, great to stretch out my legs. 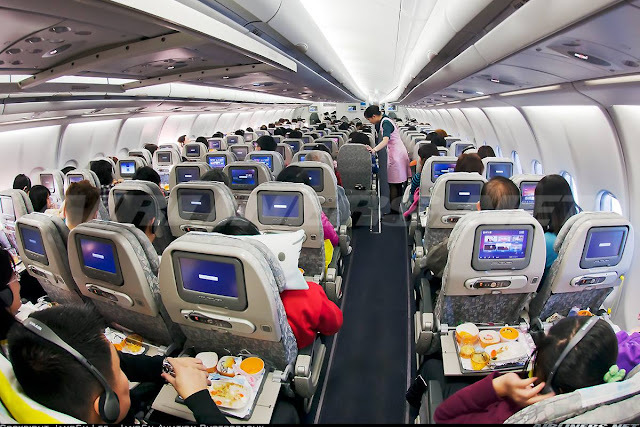 Basic IFE touchscreen system; no USB port and limited number of movies and games. Adequate enough for regional routes. 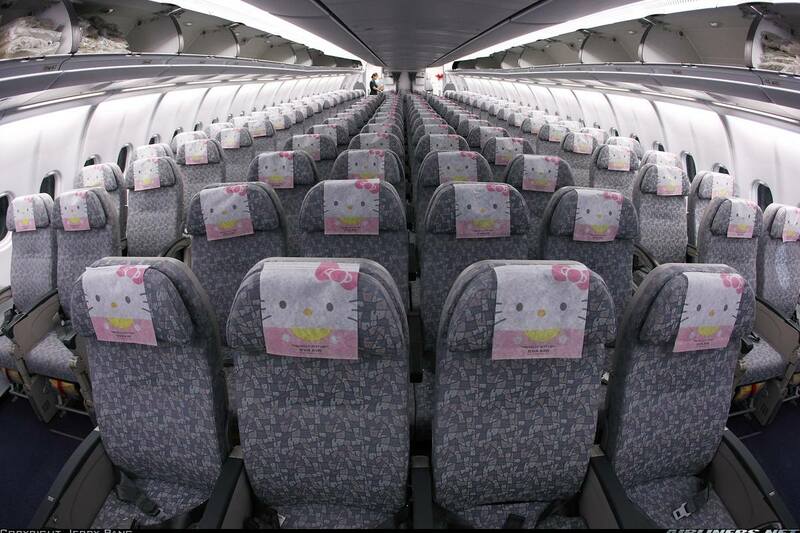 The service on board this flight was better than the previous. Smiling faces and cheerful greetings from the majority of the crews caught me by surprise. Even though this was the return leg, they made every effort to assist the passengers. Fast to respond to calls from passengers and was cordial to me when I passed by some of them. 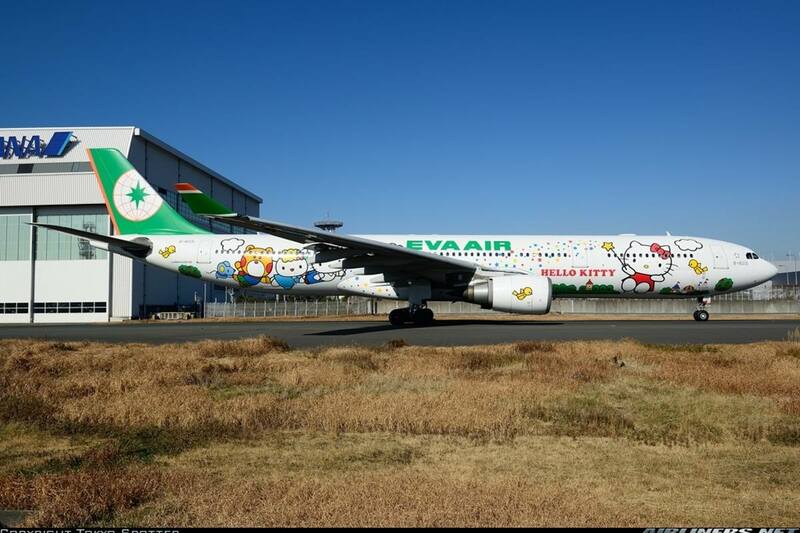 Among my flights with this airline so far, this has to be the best. The food on the other hand was average. There was no food option for this short sector, still nice to have hot meal this short sector, so no complaints there. As for the chicken sauce, it was pretty salty even with the rice it wasn't much of a help. Overall, I don't like this meal. 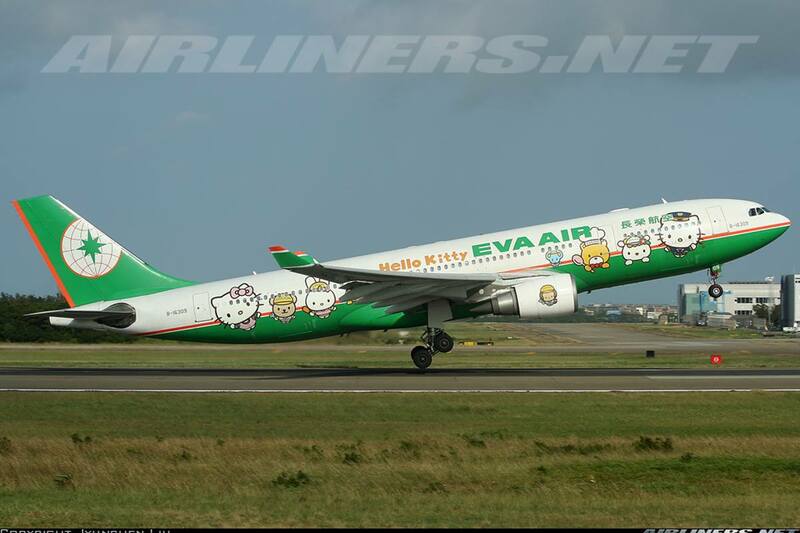 Flying the Hello Kitty Jet is definitely an experience for both neutral and Hello Kitty fans. 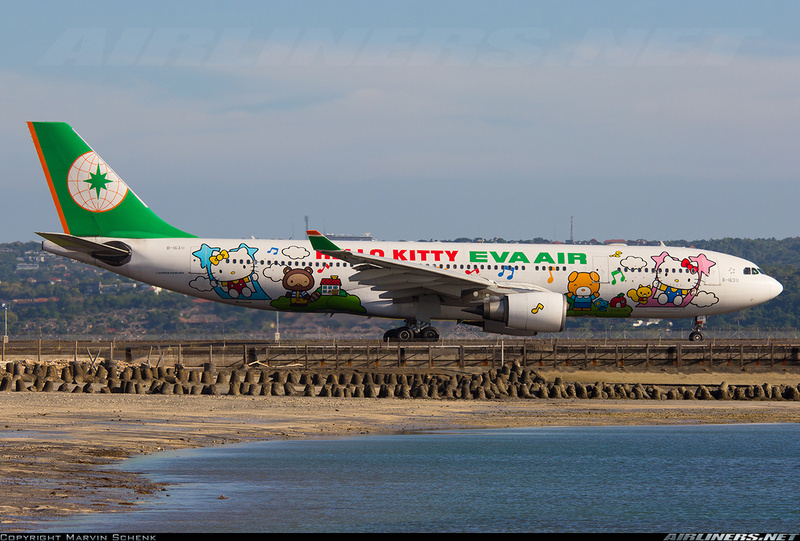 There will be some avoiding these aircraft and the "kitties" on board. 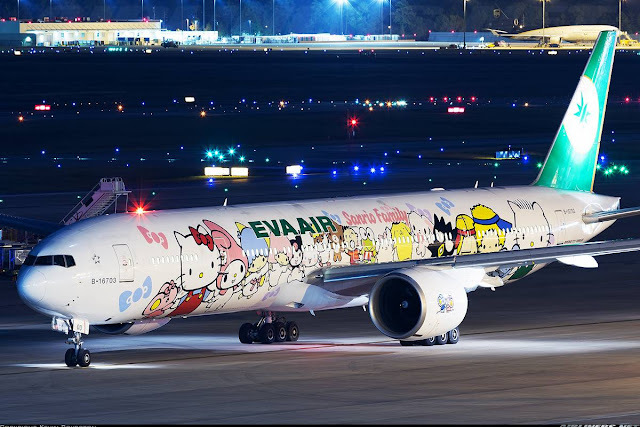 Personally, I have to give both Sanrio and EVA Air lots of credit to attract the public and the best thing of all, no extra charges to fly on this aircraft. 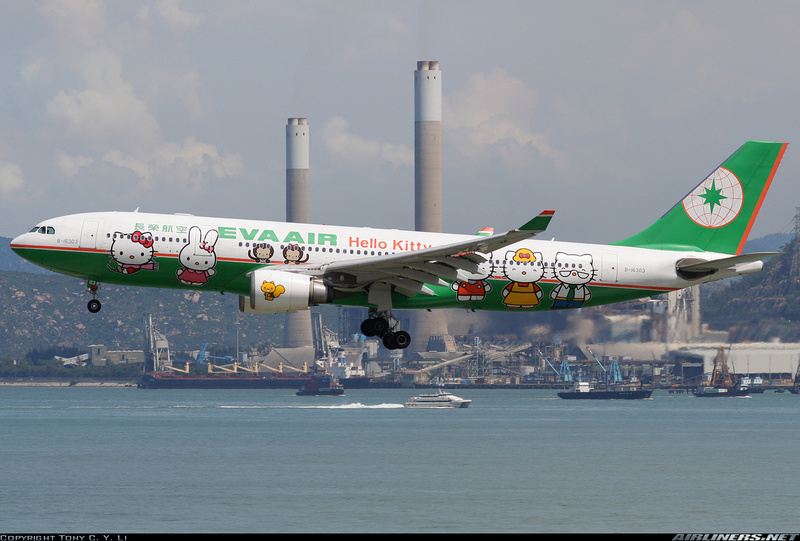 There are also freebies to collect which makes flying on the EVA Air Kitty Jet aircraft even more exciting for some, so if you have plans to fly on the Hello Kitty route, go ahead and give it a try. I appreciate the airline has also done some improvements on the website and in-flight service. 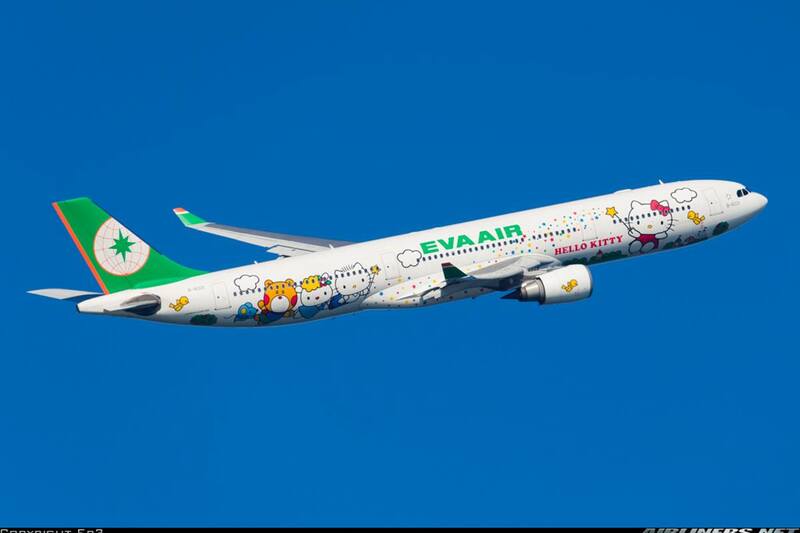 Hopefully this airline fulfil its potential by becoming one of the best airlines in the world! Here is the link to the flight routes and schedule. 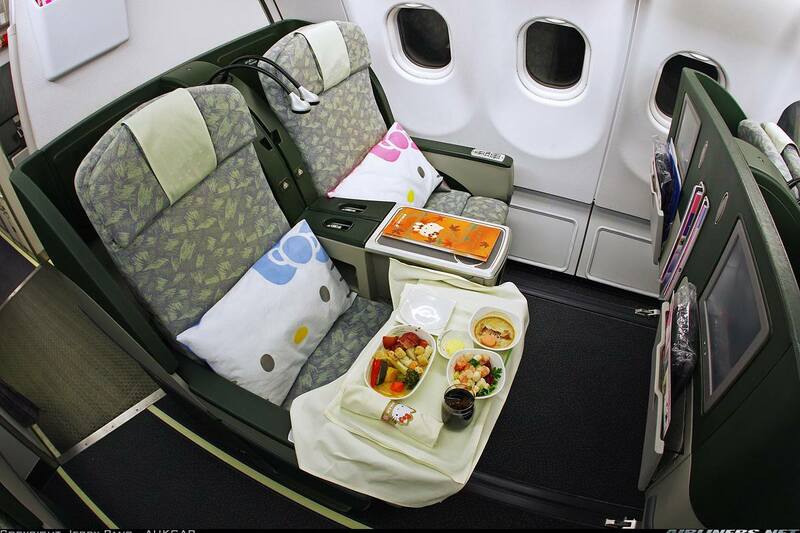 Credit goes to the airline's website. 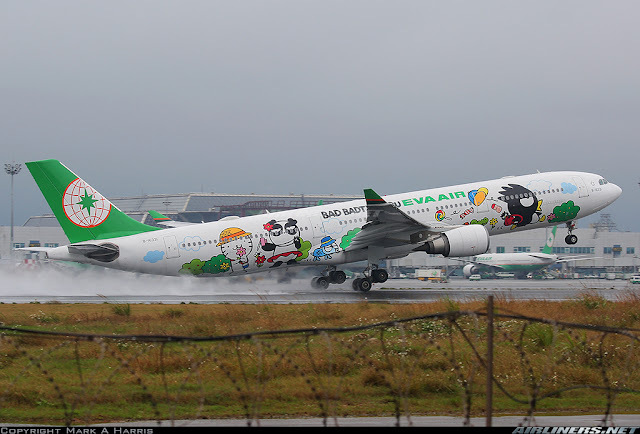 Do take note that aircraft can be changed at any time due to operation requirements. Click here for my part 1. Hope you enjoy my trip report.